The PreSonus Monitor Station V2 is an affordable desktop monitor controller with a lot of the same functions you would find on a large analog console. Things like metering, input switching, speaker switching, a large volume pot, talkback, mono sum and dimming. These are all things that are extremely helpful, but aren’t often found in an audio interface. As I said, this is an affordable piece of gear, about $400, not a lot when it comes to monitor switching systems, but I’m very satisfied and impressed with the quality. Design wise, this is an 8 by 9 black wedge with blue aluminum knobs and soft yellow backlit buttons on the top. The back of the unit has all the inputs and outputs on TRS, and RCA jacks, with some small trim pots to fine tune the speaker output levels. This design is an update to the previous Monitor Station which was larger and actually had fewer features. 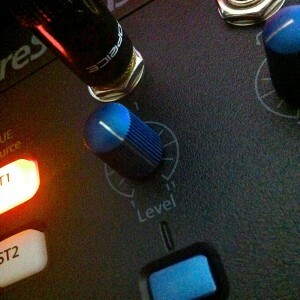 My previous monitor controller was the TC Electronic Level Pilot. If I didn’t have two sets of monitors and the desire to share a subwoofer I’d still be using that. I highly recommend it if you want a quality volume control on your desktop. The Monitor Station V2 has some nice hidden features. Well not really hidden, but seeing as most guys don’t read the manual, you’d never know about it. What I’m talking about is the mode options. Before I ordered this I downloaded the manual to see if there was a way to toggle two sets of monitors and keep the sub active. Mode 3 toggles speaker A and B keeping C independent. Exactly what I was looking for. You can also have the inputs toggle or latch, and change the meter calibration. Each of the four headphone amps can be assigned either the main source or a cue source. The headphone amps are really powerful too, 150mW into a 32 Ohm load. The way I have this set up for my studio is as such. The SPDIF out of my interface goes to the spdif input of the monitor station. This is my main source for everything coming out of the computer. Input source 1 is connected to out 3-4 from my interface for when I need an alternate headphone mix. I have source 2 open for if I need a second computer connected. Speaker A is my Focal CMS-50, Speaker B is my Yamaha HS-50, Speaker C is my Yamaha HS-10W subwoofer. The monitor station has made switching speakers really easy, but I’m a little surprised at how often I’ve been using the mono sum, mute and dim functions, even if it’s just for watching YouTube videos. The Headphone Amps go to 11! 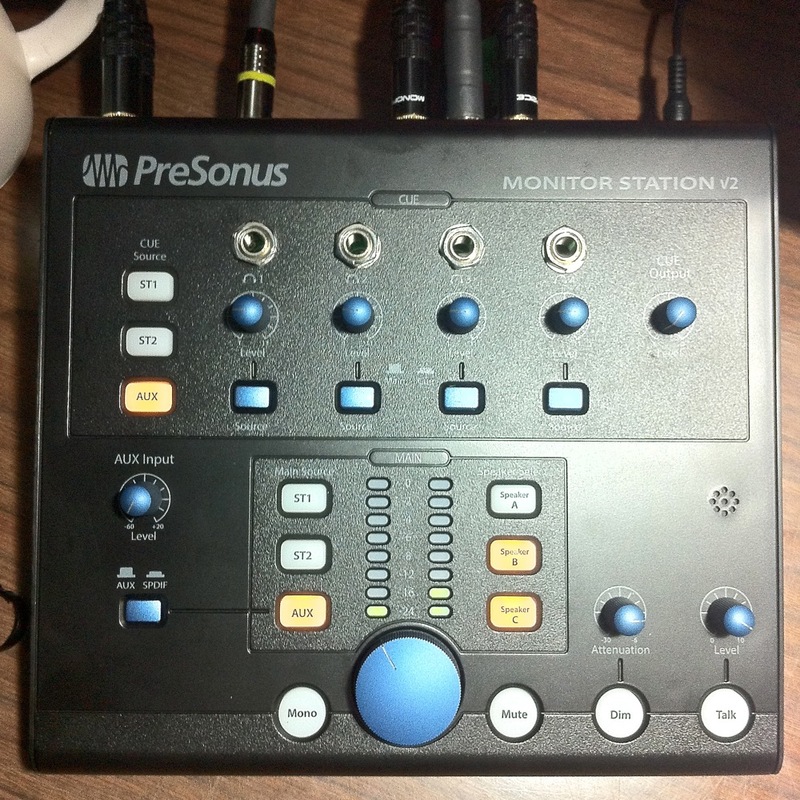 In the past I’ve criticized the quality of PreSonus products, especially the central station. So far I’m impressed with this and I’m hopeful that any quality control issues or design issues with their last generation of gear have been sorted out. Not much left to say, I think you guys should check it out and see if would be a good fit for your studio.